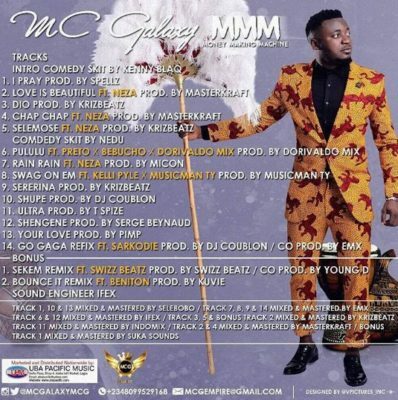 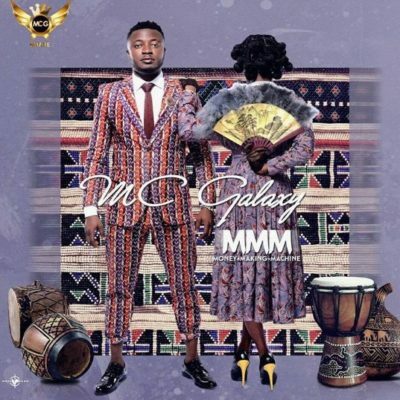 After the 2015 release of his debut album titled Breakthrough, the Sekem crooner, MC Galaxy is set to blow fans away as he gears towards the release of his 14 track sophomore album titled MMM which is an acronym for Money Making Machine. 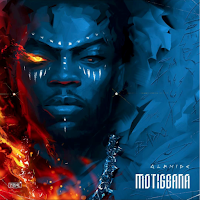 In respect to this, the singer has uncovered the art work and track listing of the album which boasts of production credits from the likes of Spellz, Krizbeatz, Musicman TY, DJ Coublon, Masterkraft, Swizz Beatz & more. 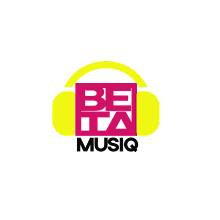 The album is set to be out on Tuesday, 2nd May 2017.